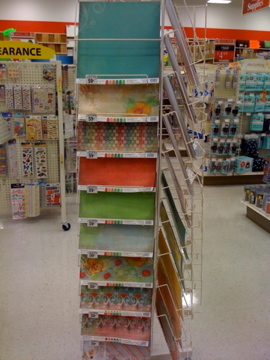 I’ve Got Photos of the New Scrapbooking Stuff at Michaels! I have one of the best scrappy friends in the world. She lives in another part of the country and we’ve never met in person, but she always has my back. To that end, when she was at her Michaels today and saw all the new stuff and the new store layout … she KNEW I’d want to see pictures, and she knew I’d want to share them with you. Finally! Some new THICKERS!! Suh-WEET! And those look like some pretty textured papers in nice colors. 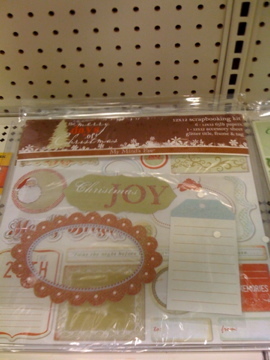 Here’s one of the new “themed” sections: Christmas. 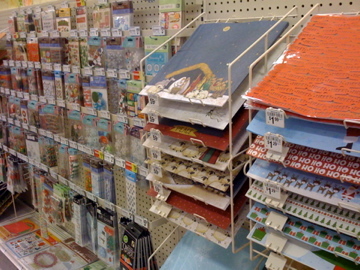 A wider view … This looks SO different from how my Michaels is set up. 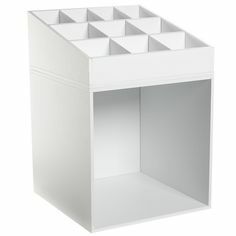 Mine has the really tall racks with shelves on top where they store extra stock. This store has lower racks and pretty little signs. 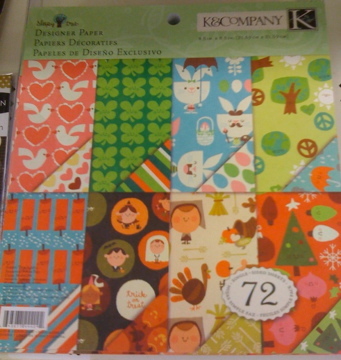 … and a new 8.5″ x 8.5″ paper pad called “Sleepy Tree” (I think) by K&COMPANY. I can’t read it perfectly in the photo, and there’s nothing called “Sleepy Tree” K&Co’s website … but that isn’t saying much. Sometimes the stores have things that aren’t on the manufacturer’s website. Looks like some new kits and stacks, and down in the bottom left corner, did you see? BASIC GREY “Ambrosia” and “Eva” paper stacks! My Michaels has had these as open stock papers but not as a stack. New Recollections single papers. 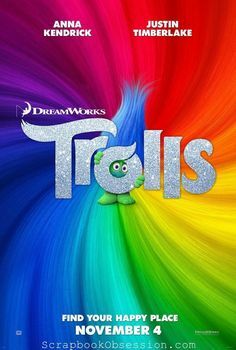 I see some really pretty colors and designs there. Does your Mike’s have tall racks sitting out in the middle of the floor like this? Mine doesn’t. Gasp! That almost resembles and LSS! Remember when I posted HERE and HERE about the themed sections that were “coming soon.” Well, they’re finally here, LOL! In THIS discussion at 2peas, there seems to be a general dissatisfaction with the whole “sorted by theme” idea. Some scrappers feel it’s being done to cater only to the beginning scrapbooker who wanders in to solely do a baby, wedding, Christmas, or travel scrapbook. 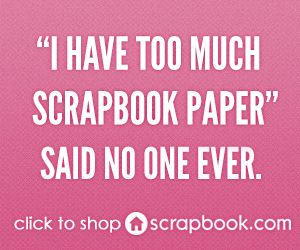 The feeling is that more seasoned scrapbookers (get it? seasoned? Christmas? huh? huh?) 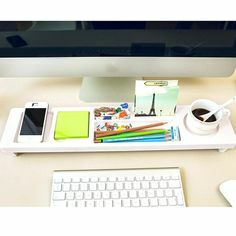 like us shop not by theme but by brand name and/or by item type. 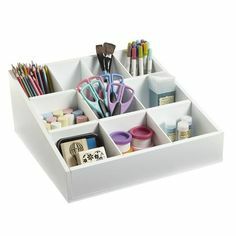 Now I know this is a selfish perspective but, wth, this is my blog and my opinion: I want Michaels sorted the way my scrapbook room is organized, which is to say, by brand name for the most popular brands, then by item type and color beyond that. But, no, Michaels Corporate did not ask ME, did they? Boy, they’d better not ever ask me stuff … ‘cuz I will tell them! Huh. They would rue the day, baby. 1. Less Jolee’s, more Thickers. 2. Bring back coupons on books and magazines. At least on books, come ON! 3. Do NOT. Under any circumstances. Organize by theme. And keep all the alphas in one place. 4. 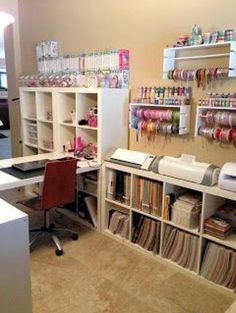 Make “knowledge of scrapbooking” a condition of hire. 4a. Better yet, hire me. 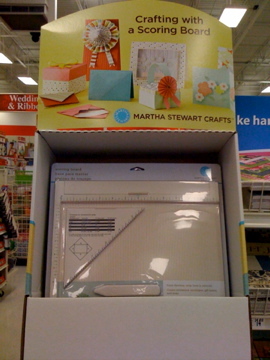 Make me Director of Scrapbook Buying, Merchandising, Publicity, and Employee Training. I will make you millions and jillions of dollahs. 5. Anything that has been on your racks for more than 6 months … CLEARANCE. Then get new stuff. 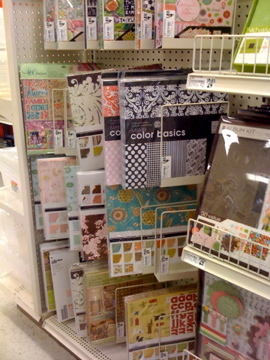 I swear to G, they still have things in Michaels that were there when I first discovered it back in two-thousand-ought-two. Hello? Take the loss already and move on, Mike’s. Okay, this was not meant to turn into a MIke’s Rant Post, so very sorry. This is actually a Happy Mike’s post. Yay! We are so happy they got some new stuff! We are happy we have new things to bust out our coupons on! We are so happy they are getting OCTOBER AFTERNOON! Rah rah, Mike’s! Okay, now tell me about your Mike’s. Got all this new stuff yet? What have you bought recently? What new items are you most looking forward to if, like me, you still have the same old stuff? Oh, and tell me your feelings on the whole “sort by theme” debate. Don’t be shy … yea or nay? I am totally green about Abby’s Micheals…it is fabulous! Mine is old and out of date and boring. Love all the new stuff coming! 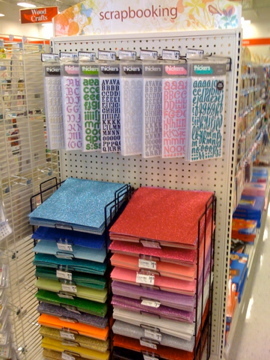 Ok, how did I miss OA was coming to Michaels??? Is this just rumor or has it been verified??? OMG I am happy girl should this be fact! 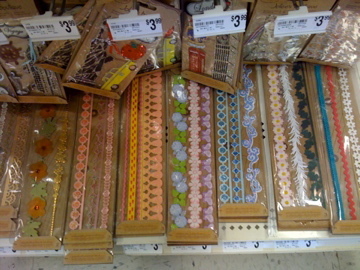 I went to a Michaels when I was visiting Texas, (Hurst) and it looked similiar to this, it was truly amazing. 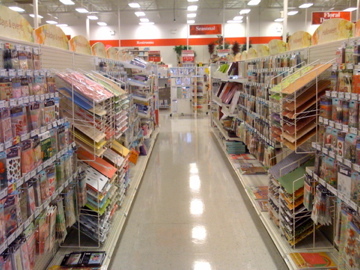 The scrap section was larger than any other section in the store and was in the center of the store. It was set up just like a LSS. The associate in the area said it was designed as such because for most of the ppl there it was the LSS. I thought it was awesome, even my son (ten at the time) thought so too.